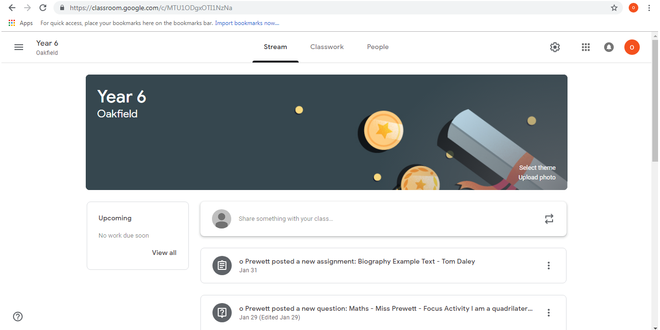 Google Classroom is a collaboration tool for teachers and pupils. Miss Prewett and Miss Kemp have created an online classroom and invited your child to the class. As well as using Google Classroom to complete tasks within school - we will create and assign homework tasks via Google Classroom too! Your child has their own username and password - they can access Google Classroom via the internet on any device. This video is basic introduction to the Student's View of Google Classroom.